JAL will add Qatar Airways as JAL Mileage Bank partner on October 30 2013. Image by Aero Icarus. 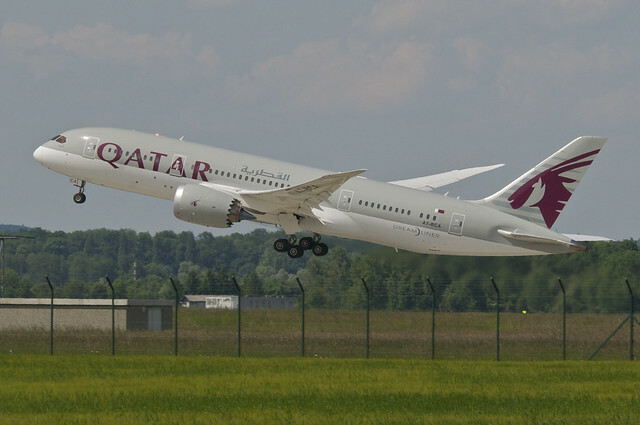 As Qatar Airways (QR) is set to officially join oneworld on October 30 2013, JAL will inaugurate a frequent flyer program partnership with Qatar Airways on the same day as well. This means JAL Mileage Bank (JMB) members will soon be able to earn redeemable miles and FLY ON Points on eligible Qatar Airways' flights when they travel with eligible fares. Also, they will be able to redeem award tickets on QR coded flights operated by Qatar Airways as well. Below are the accumulation rates on QR coded flights. They are very similar to the structure on JAL flights, which means you can only earn 30% on certain discounted economy fares. But at least unlike on JAL all Business Class fares will earn 125% miles. Note that this only applies to flights operated by oneworld carriers on or after October 30 2013. This means QR coded codeshare flights operated by non-oneworld carriers will not be eligible for miles. Qatar Airways will be added to the standard JMB Partner Airlines Award and the oneworld award on October 30 2013. This means the earliest travel date will be November 3 2013. Only QR coded flights operated by Qatar Airways are eligible.